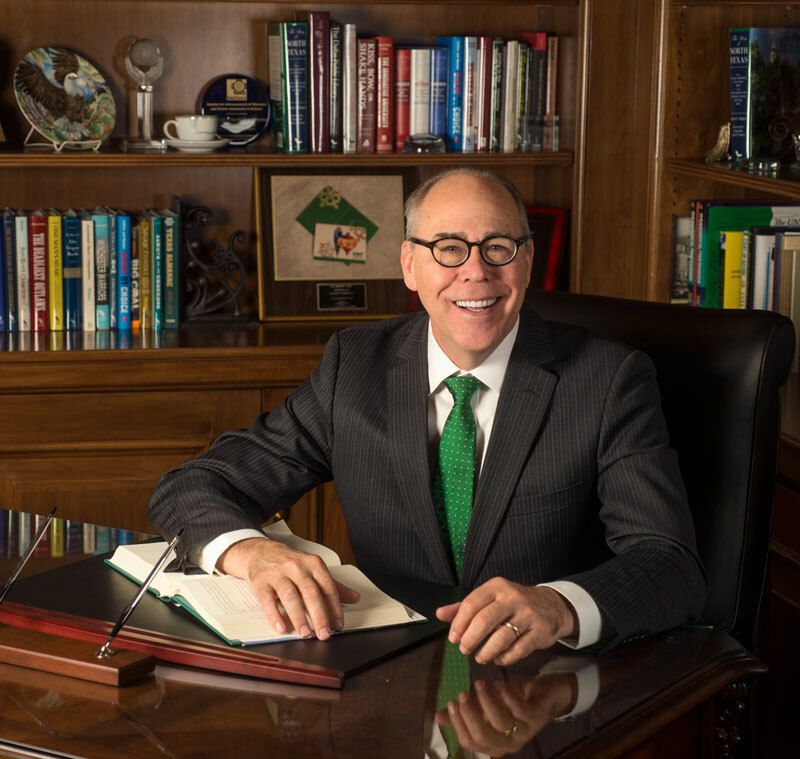 President Neal J. Smatresk (pronounced SMAH tresk) joined UNT in 2014 with a vision for leading the University of North Texas to national prominence as the largest, most comprehensive university dedicated to meeting the needs of the dynamic North Texas region. Since his arrival, UNT has been named a Tier One research university by the Carnegie Classification, grown in enrollment to serve more than 38,000 students including 76 National Merit Scholars — up from a class of four — and seen 72 of its 227 academic programs ranked among the nation's Top 100. In addition, Dr. Smatresk has worked to expand the university’s services in Collin County by opening a location in Frisco, the second fastest growing city in the nation. And he has created important new public-private partnerships with businesses like Toyota, which has been key to helping the university improve its processes and infrastructure so that our students and partners have a seamless, positive experience when doing business with the university. UNT’s partnership with NetDragon, a Chinese technology conglomerate, will be foundational in UNT’s growth as a next-generation research university leading the way in educational innovation. UNT’s partnership with the Dallas Cowboys is a shining star for the kinds of unique opportunities our students have with some of the world’s biggest brands.